THIS LISTING IS FOR A SIZE MEDIUM (8-10) WOMEN COSTUME. PLEASE MAKE YOUR PURCHASING THE CORRECT SIZE. Standby Mr Claus dress in this Classic Mrs Claus costume that is surely to be a hit at any Christmas event. 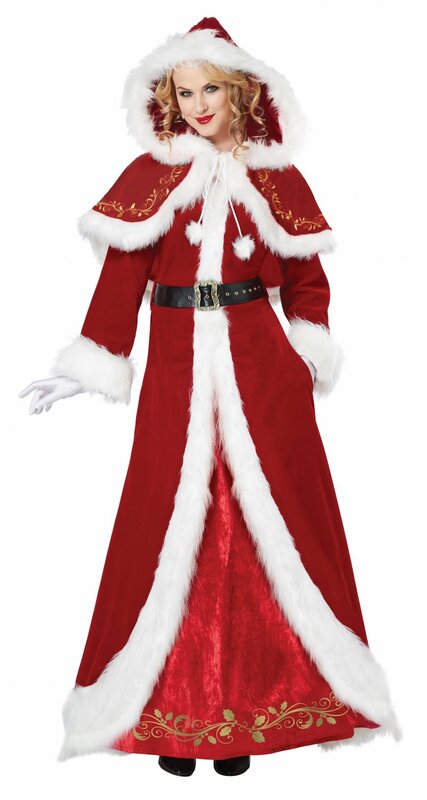 Our Mrs Claus Deluxe adult costume features a coat dress, hooded capelet, belt and hat.